Turnkey Plugins \ Social Login for Joomla! Social Login is a free Joomla! extension that allows your visitors to login and register with their social networks accounts. It increases your Joomla! user registration rate by simplifying the registration process and provides permission-based social data retrieved from the social network profiles. 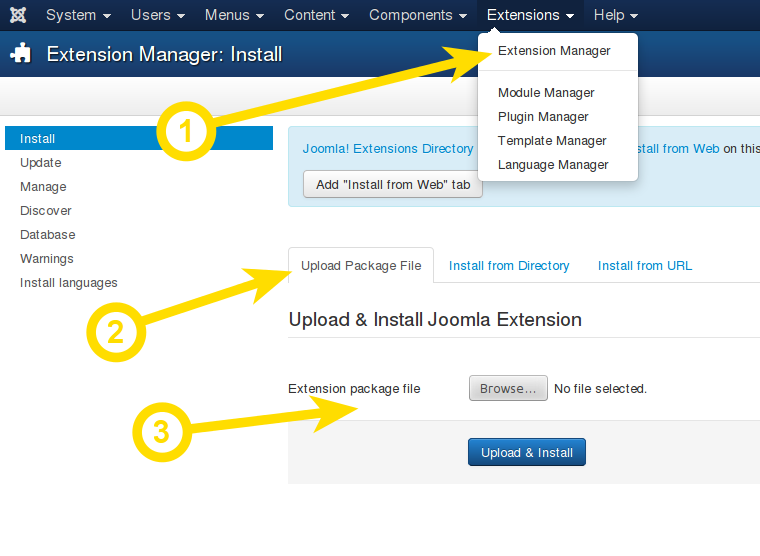 The extension integrates with your existing Joomla! registration system so that you and your users don't have to start from scratch. The installation takes only a few minutes. Please follow our instructions carefully and do not skip any steps. Login to your Joomla! 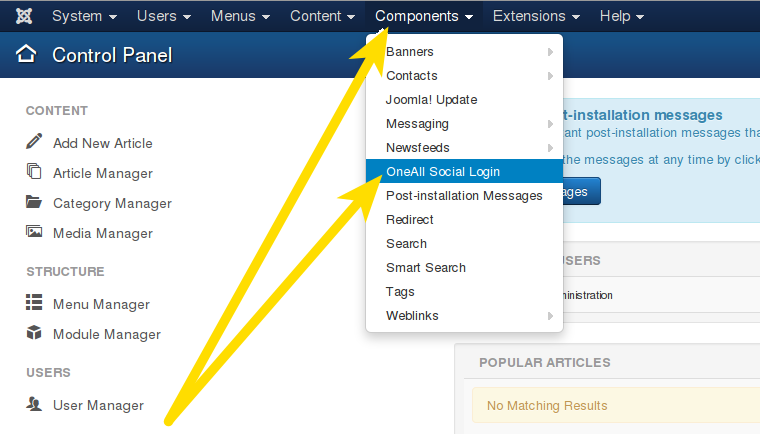 administration area and navigate to Components \ OneAll Social Login. Click on the link Click here to autodetect the API Connection Handler. You should receive a green success message if your server is able to communicate with our API. Your firewall must allow outbound requests on either port 80 or 443. Fill out the API credentials in the Joomla! administration area and click on the link Click here to verify the API Connection Settings. You should receive a green success message if your credentials are correct. a. Social Login is not displayed at all on my Joomla! website! Please login to your Joomla! administration menu, click on Extensions and select Module Manager. 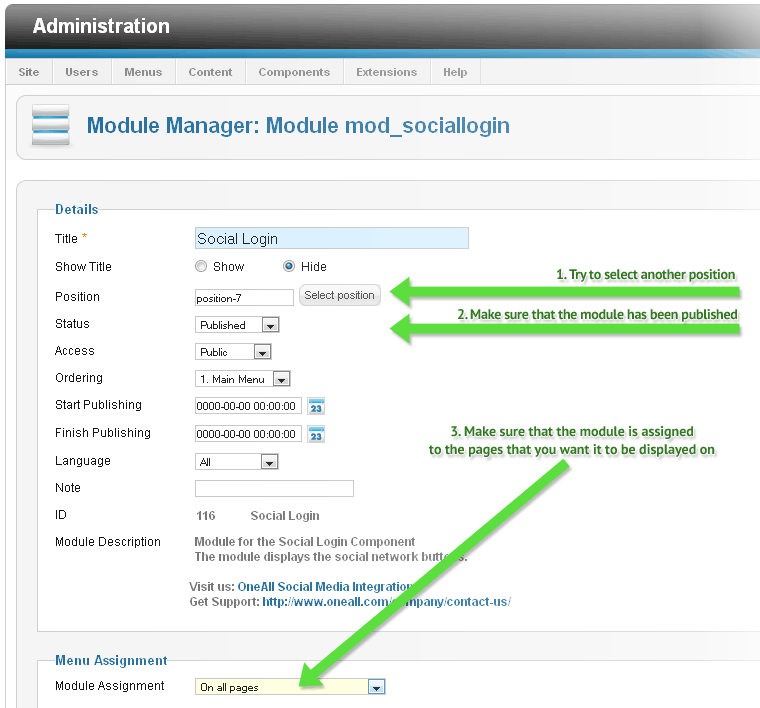 Search for the module OneAll Social Login and click on it's title. Verify the module settings according to the screenshot below. Feel free to fork our Joomla GitHub repository to contribute to the development of this mod.